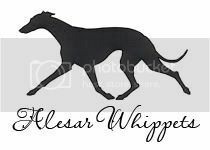 Our breeding features in some of the top winning and highest SOP whippets in the game. Shouldn't it feature in your dogs? All dogs will be put up for stud at 30 days. Please feel free to use them, no approval is necessary. Puppies are sometimes available and will only be placed up for sale if I would be happy to have them in my own kennel. My puppies are sold unconditionally - once you pay for them they are yours to do with as you wish. 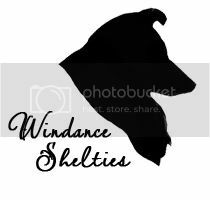 Every now and then we also breed and show shelties under the Windance prefix. By Alesar Dancing Shoes out of Alesar Pepper Power. By Alesar Sir Sugar out of Alesar Witch Wanda. By Alesar Berry Ripple out of Alesar Magnolia Breeze. By Alesar Bright Blue out of Alesar Berry Biscuit. By Alesar Gaelic Dash out of Alesar Funny Lady. By Zazzle Foot Soldier out of Ch Alesar Magic Spice.